When it comes to data protection and recovery, many businesses are not as safe as they believe. 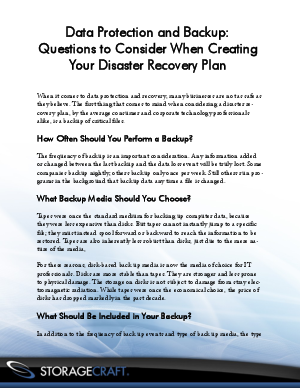 The first thing that comes to mind when considering a disaster recovery plan, by the average consumer and corporate technology professionals alike, is a backup of critical files. There are a lot of questions that go along with this - read on to find out what you'll need to consider when creating your backup and disaster recovery plan.